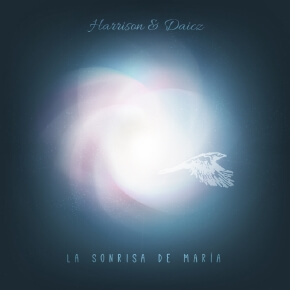 Harrison & Daicz is a Tenerife Island (Spain) based duo playing an eclectic mix of Jazz Fusion, Chillout, and World Grooves. Brian Harrison is the producer and arranger of the project. He is also the founder of QFM Tenerife. 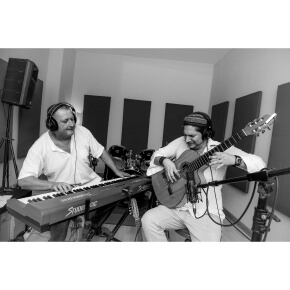 Charly Daicz (also known from the project “Abraxas”) is guitarist and multi-instrumentalist and has teamed up with Brain in 2015 to work on their debut album “La Sonrisa De Maria”, accompanied by 19 guest artists originating from 11 countries. “La Sonrisa de María” (María’s Smile) was recorded as a homage to Brian Harrison’s partner, María Fernández Couso (1961 -2015). The album was recorded between May 2015 and August 2017 in various recording studios in Tenerife, with the ambient recordings from Tenerife, El Hierro, Madrid, León, Tarifa, Almería, Ribadeo, Ribeira de Piquin and the Cíes Islands, in addition to a recording of an antique valve Radio set. The final months of the project were occupied with recording Charlie’s Guitar, Banjo, Mandolin, Charango and Vocals, and arranging and editing. Vocalists Anna Rodriguez, Marianne Robiou and Laura Mereb, along with presenters Monica Siddi, Mercedes Lago, Theresa Willson and Ramesh Mahtani laid down their tracks, whilst guest guitarists Darko Mrak, “Magnomar” Mariano, and Fernando Amado recorded their parts, often improvised. Rod Garret played a rare Irish Whistle, Sam Pearce Sax and Flute, and Fermin Rivero Sax. Matteo worked his Fretless Bass and Roxy Barreiro played the Electric Bass.